2. We will compare tour plan from top Peru tour experts and get you the best tailored plan meeting all your expectations. Spanning the arid plains of the Pacific coast, the towering peaks of the Andes and the verdant jungles of the Amazon Basin, Peru is steeped in traditions and customs that have endured for centuries. Although one of the continent’s well-trodden tourists trails, its stunning wealth of historical and cultural treasures means that Peru is always worth a second look…and it doesn’t take much to get off the beaten track, in true Wild Frontiers style. Visitors pilgrimage to the glorious Inca citadel of Machu Picchu, yet this feted site is just a flash in a 5000-year history of peoples. Explore the dusted remnants of Chan Chan, the largest pre-Columbian ruins in all the Americas. Fly over the puzzling geoglyphs etched into the arid earth at Nazca. Or venture into the rugged wilds that hem the stalwart fortress of Kuelap. Lima’s great museums reveal in full detail the sophistication, skill and passion of these lost civilizations. Visit remote communities and see how old ways live on. Immerse yourself, and you will leave Peru a little closer to the past. One existential question haunts all Peruvians: what to eat? Ceviche with slivers of fiery chili and corn, slow-simmered stews, velvety Amazonian chocolate – in the capital of Latin cooking, the choices dazzle. Great geographic and cultural diversity has brought ingredients ranging from highland tubers to tropical jungle fruits to a complex cuisine of Spanish, indigenous, African and Asian influence. The truth is, fusion existed here long before it came with airs. Explore the bounty of food markets. Sample grilled anticuchos (beef skewers) on the street corners and splurge a little on exquisite novoandina (Peruvian nouvelle cuisine). Giant sand dunes, chiseled peaks and Pacific breaks a few heartbeats away from the capital’s rush-hour traffic: from downtown Lima to smack-dab nowhere, this vast country translates to paradise for the active traveler. All the usual suspects – rafting, paragliding, zip lines and bike trails – are present. Spot scarlet macaws in the Amazon or catch the sunset over the dusty remnants of an ancient civilization. Take this big place in small bites and don't rush. Delays happen. Festivals can swallow you whole for days. And that’s when you realize: in Peru the adventure usually lies in getting there. Welcome to a place of mythical beliefs where ancient pageants unwind to the tune of booming brass bands. Peru's rich cultural heritage is never more real and visceral than when you are immersed streetside in the swirling madness of a festival. Deities of old are reincarnated as Christian saints, pilgrims climb mountains in the dead of night and icons are paraded through crowded plazas as once were the mummies of Inca rulers. History is potent here and still pulsing, and there is no better way to experience it. This unique jungle expedition takes you on a 9-day immersive experience and allows you to indulge in the range of whitewater rapids on the Tambopata River. Start at Lake Titicaca and drive to the cloud forest to put the boats in. Then it is big water all the way, until the boat drifts into the wildlife-rich rainforest regions of the lower Tambopata river.From the shores of Lake Titicaca, the Tambopata River courses through unspoilt uninhabited Amazon rainforest, challenging you with some exciting Grade III and IV rapids. But consider where you are spending your days and nights, in one of the richest ecosystems on the planet. Home to 800 species of birds, 1200 species of butterflies, 200 species of mammals and 10,000 species of plants, this dense jungle will stimulate all your senses with its diversity of flora and fauna. You will spend your evenings falling asleep to the wild orchestra of sounds, from the steady buzz of insects and grasshoppers, the rhythmical beat of woodpeckers, interspersed with the unique cries and whoops of the birds overhead. In the morning, you wake to the sound of a herd of peccaries sifting through the forest. These wild pigs grow to over four feet long and can weigh nearly 90 pounds. They search the underbrush for insects, seeds, roots, and fruits. After breakfast, you board the raft and continue down the river, edging closer into the Amazon Rainforest. The Tambopata River travels 250 miles across southeastern Peru and into northwestern Bolivia. The scenery along the banks begins to change as the river narrows, increasing the character of the rapids.The banks act like a flume, causing the water to speed over the undulating boulders and rocks. You grab tight to your paddle and row with your guide, feeling the cool water splash onto your cheeks and hands as you navigate the class IV rapids. The sound of crashing water echoes against the bordering walls and your heart pounds with excitement long after the rapids end. You put the paddle back on your lap and your guide points into the trees at a troop of grazing spider monkeys. They grow up to 35 inches long and use their prehensile tail to help balance as they swing across branches or reach for berries and nuts at the far ends of the tree. Tambopata Nature Reserve is home to 13 endangered species, including the harpy eagle, ocelot, and jaguar. Before returning to the raft, your guide leads you into the rainforest terrain where he has heard whispers of a jaguar sighting. Your heart pounds with excitement and fear of the possibility of seeing the large, powerful wild cat in person. Jaguars can grow up to seven feet long and weigh 220 pounds, making them the largest cat species in the Americas. The jaguar is a capable swimmer and often rests near a water source where it can drink or hunt, so the chance of catching a glimpse of one is greater here on the river. You do not find the cat, but your guide points to fresh prints measuring nearly five inches wide, giving you an exciting image of how large the cat can grow. Once again, you board the raft and continue your journey deeper into the jungle terrain. When the rapids appear, the whitewater splashes against the hull and sides of the raft. You paddle hard with the current and travel over the class III and class IV rapids populating the Tambopata River along the Amazon Basin. When the water is calm, you scour the trees and riverbanks in search of more wildlife, enjoying the intermittent meetings with the natural splendor of the rainforest. With over 900 different species of birds and more than 1,200 types of butterflies, floating quietly along the water offers a spectacular panorama of colors bursting from the landscape. The winter in Peru (May – September) is the driest season and therefore the best time of year to travel, especially if you are planning to visit the Cusco area or trek the Inca Trail to Machu Picchu. The summer (December – March) is the wettest season, with frequent heavy showers. The temperatures are higher than in summer, but the nights can get very cold. In April and October, the weather can be unpredictable with varying conditions much like the UK. From May – September Lima is shrouded in a dense fog called La Garua; a thick layer of low-hanging clouds paired with low temperatures and gloomy drizzle. The further away from Lima you travel along the coast, the sun gradually begins to break through the mist. November – March are the summer months in Peru. At this time of year Lima is hot and humid while further along the coast it’s warm and sunny and the temperature of the ocean is great for swimming. The Andes highlands have two seasons: wet and dry. During April – November it rarely rains and the days of endless sunshine offer an even better view of the rugged mountain peaks against a clear blue sky. Mid-December to March sees some very heavy showers and temperatures can drop quickly when the sun disappears behind the clouds. It’s best not to plan a trek in the Andes at this time of year. Note that temperatures can vary considerably depending on altitude. The rainforest of Peru has a sub-tropical climate and from October – April it rains most of the time. Nights can get cool. During the dry season temperatures can soar to 32C or higher. Not surprisingly, humidity in the rainforest is high throughout the year. The South American nation of Peru is a bucket list destination for many, thanks to world-class attractions and natural landmarks. In addition to historic spots like the lost Incan city of Machu Picchu and the ruins of Chan Chan, Peru is home to exciting cities like Lima and Arequipa. You can also find beach resorts on the South Pacific coastline and mountain resorts in the Andes. Whatever you’re doing on your next getaway to South America, make sure to unwind each night at one of these amazing places to stay in Peru. Peruvian cuisine reflects local practices and ingredients—including influences from the indigenous population including the Inca and cuisines brought in with immigrants from Europe (Spanish cuisine, Italian cuisine, German cuisine), Asia (Chinese cuisine and Japanese cuisine) and West Africa. Without the familiar ingredients from their home countries, immigrants modified their traditional cuisines by using ingredients available in Peru. The four traditional staples of Peruvian cuisine are corn, potatoes and other tubers, Amaranthaceae (quinoa, kaniwa and kiwicha) and legumes (beans and lupins). Staples brought by the Spanish include rice, wheat and meats (beef, pork and chicken). Many traditional foods—such as quinoa, kiwicha, chili peppers, and several roots and tubers have increased in popularity in recent decades, reflecting a revival of interest in native Peruvian foods and culinary techniques. 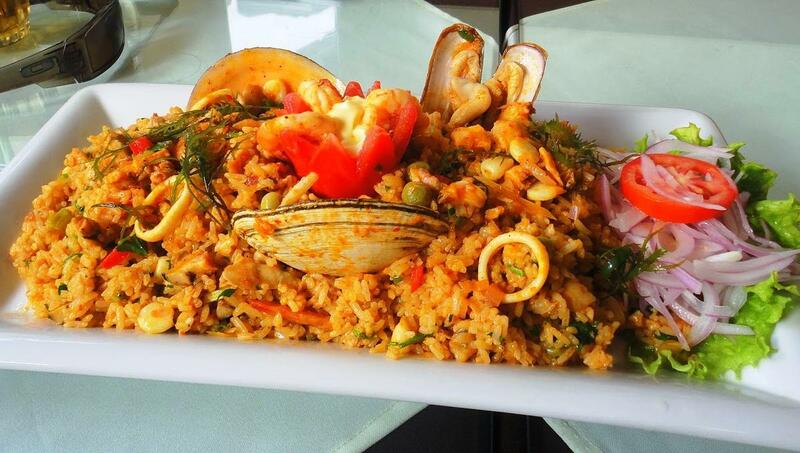 Rice with chicken or seafood are very traditional and popular dishes in Peru. Ingredients and cooking techniques are very similar to the Spanish paella, so some critics say Arroz con Pollo or Arroz con Camarones is only a simple imitation of this dish combined with Asian influences; but the richly flavored rice combined with chicken or shrimps is a great example on how in the Peruvian cuisine local ingredients are merging with other influences. In most cases, tourists can enter Peru with just a valid passport and a simple tourist card, known as the Tarjeta Andina de Migraciones (TAM). And even the card is being phased out in favor of a simple digital version, making the process even easier. Arriving in Peru on a one-way ticket can cause problems if you don’t have proof of onward travel. Taxi drivers always try to rip you off. OK, maybe not all of them, but most of them, especially in the bigger cities. So always haggle with taxi drivers. As a rule of thumb, if they say S/ 10, offer S/ 7. Your bargaining power typically increases with your level of spoken Spanish. And you don’t need to tip taxi drivers unless they’re particularly helpful. 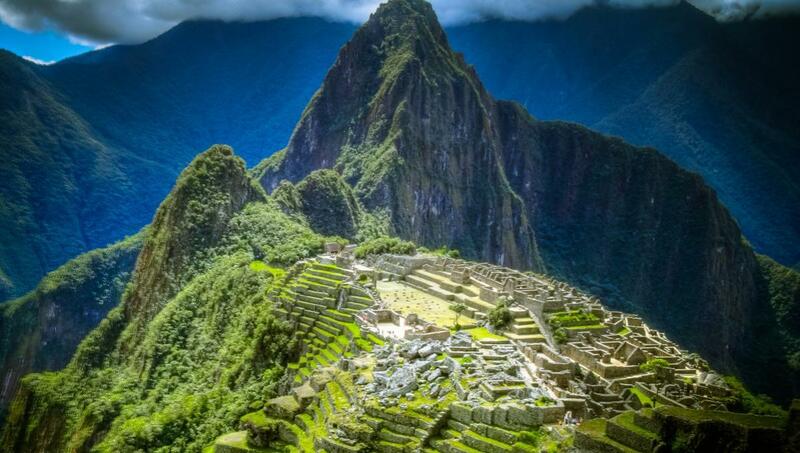 Peru is a safe place to visit with few precautions your trip will be a successful one. Tap water is usually not safe to drink in Peru. It’s best to purchase bottled water or fill up a reusable water bottle at your hotel (many hotels have filtered water available for guests). You can also bring iodine pills or a small water filter along with you. To avoid traveler’s diarrhea, only drink purified water and order drinks without ice. Eat fruits and vegetables that you have to peel, including bananas and oranges. Wash your hands before eating, and carry hand sanitizer around with you. Hot foods are usually safe to eat—this includes soups, pastas, rice, and cooked vegetables. Protecting yourself from insects is another sensible way to remain disease-free while traveling in Peru. Mosquitoes can transmit malaria, yellow fever, and dengue; ticks can transmit Chagas’ disease. Wear long pants and long-sleeved shirts, and use insect repellent (you may even want to spray your clothes with it too). Sleep in screened-in rooms or rooms that have mosquito nets over the beds. The weather in Peru can vary significantly dependent upon which region of the country you find yourself in, which is why the best time visit Peru is relative. Peru’s mountainous regions are set at high elevations. Cusco is located at 11,150 feet (3,400 m) and travelers sometimes get altitude sickness when visiting this area. Symptoms of altitude sickness include fatigue, headaches, nausea, loss of appetite, and shortness of breath. Although there is no way to avoid altitude sickness, the best way to minimize the effect is by acclimatizing for a day or two before engaging in exercise and by drinking plenty of water. Doctors can also prescribe acetazolamide, or Diamox, to help treat altitude sickness. Peruvians support coca leaf tea as a cure, and it seems to work. Peru is a tropical country and can be quite hot in places. To avoid heat exhaustion, drink plenty of water and avoid strenuous activity on hot days. It’s also a good idea to wear a hat, loose fitting clothing, and always apply plenty of sunscreen. On the flip side, Peru’s higher elevation areas can be cold and rainy, and create conditions in which hypothermia may occur. To prevent hypothermia, wear artificial fibers (like polypropylene or fleece) that wick away moisture, and bring several layers of clothing during a hike. You should also eat and drink water regularly while exerting yourself in cold conditions. Finally, earthquakes in Peru are actually a relatively common occurrence, due to the country straddling two tectonic plates. Because earthquakes are difficult to predict, we recommend that you read this article to get safety tips, in the event that you encounter one during your vacation. As a visitor or holidaymaker in Peru, it is polite to become familiar with some basic customs and etiquette. Drugs are quite widely frowned upon in Peru, especially by the older generations, so don’t be too blase with the pot smoking. The actual laws for marijuana possession in Peru are fairly liberal, but some locals don’t differentiate between cocaine and weed — it’s all just drugs — and they’ll get annoyed if you spark up near them. Just tread carefully and with some respect. We the leisure team brings a wide range of customized Peru tour to offer you a perfect hassle-free vacation. The plans are tailored keeping in mind your requirements and benefits. Whatever might be your choice; an adventurous vacation, a luxury vacation, a family vacation or a romantic one, we are ready with the perfect plan for you. We value your safety as well as respect your privacy, and the tour experts plan your tour accordingly, either a packaged group tour or an independent tour. In all cases we ensure a hassle-free experience with magnificent accommodations, authentic local guides, and unimaginable excursions. So whether you wish to explore Inca civilization or immerse yourself in the extreme trekking adventure, write to Leisure and we will bring you perfect tour from the top tour experts.